Amazon Fire TV users already have a bevy of music options on their devices, including Spotify, Apple Music (only in US), Amazon Music, Pandora, Tidal, AiHeartRadio, and more. Users are able to stream all of their favorite tunes right on Fire TV, with Spotify filling the screen with big album artwork as it fills your room with music. 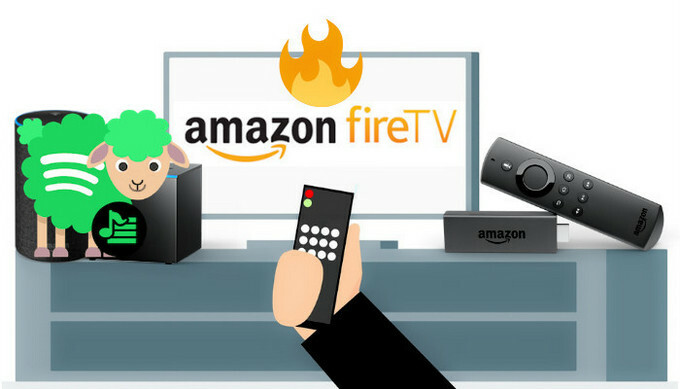 In this post, we would show you the best two ways to play Spotify on Amazon Fire TV with detailed steps. Using Spotify on Fire TV is extremely easy. All you have to do is install the Spotify app and you can start play your favorite music straight from the device. Step 1 Make sure your Amazon Fire TV and device using Spotify are on the same Wi-Fi network. Step 2 On your TV’s home screen, scroll down to Apps. Step 3 Search for Spotify and install it. Step 4 Play a song and tap Devices Available (mobile) or click (desktop). You can now use your phone as a remote to control the music on your Amazon Fire TV. Although everyone can listen to the music they love with Spotify on Fire TV, Spotify free user will still be stuck listening to annoying ads accidentally. Besides, the Fire TV now has the Spotify Connect app that can be controlled with the music service’s iOS and Android mobile apps. But, the app only works with a Spotify premium account. So if you’re Spotify free user, you'd better to get a Spotify Premium account to enjoy Spotify music more freely or use a thrid-party software to help you. 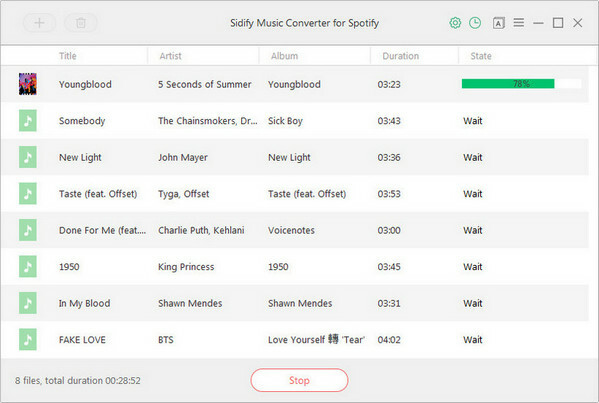 For those willing to spend a little cash and don't want to pay monthly subscription, we recommend you can try Sidify Music Converter for Spotify, which is an awesome Spotify Music Downloader to assists you download Spotify music or Spotify playlist and convert them to MP3/ AAC/ WAV/ FLAC. Once your Spotify music are downloaded to plain format, you can play these Spotify music on any player and devices (including Amazon Fire TV). 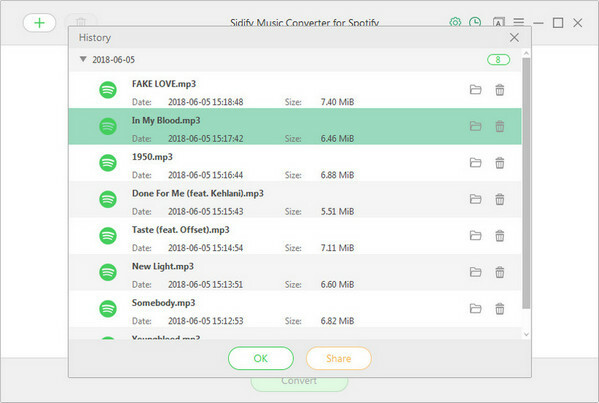 Tips: In order to meet various user's needs, Sidify program supports saving the output audio into Artist, Album, Artist/Album or Album/Artist folder now. 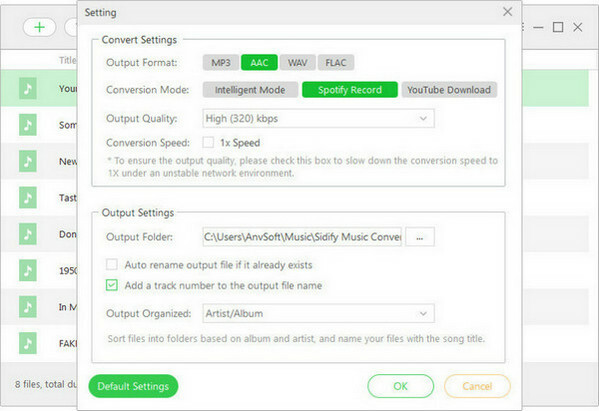 Click "CONVERT" button to start downloading Spotify music to plain MP3/AAC/FLAC/WAV format without lossing audio quality. After conversion, you will easily find the downloaded Spotify msuic file by clicking the "History" button on the top right corner. 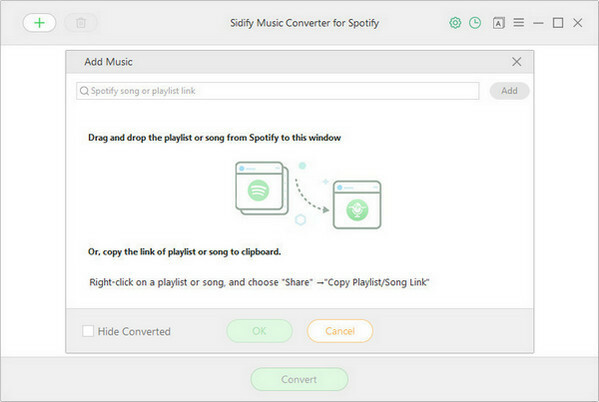 Now, you can copy and transfer the converted Spotify music and playlists to your Amazon Fire TV to USB flash drive or a microSD card, then insert it to your Fire TV. After that, you can choose one of your msuic player to access these Spotify Music tracks for playback. 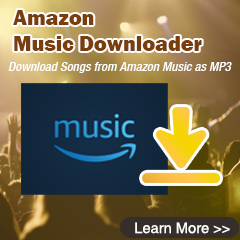 With just 5 steps, you can easily download Spotify music or playlist to plain formats for playing on Amazon Fire TV.